To meet the special needs of the professional market place, Gamma produces automated prints on two Noritsu printing systems. One system, the Noritsu #1912, produces true Black & White machine prints; your B&W negatives are printed on B&W paper and then processed in B&W chemistry. The other, the Noritsu #3011, incorporates the latest photo finishing technology in producing automated color digital prints. Its newly developed laser exposure system produces quality 400 dpi digital prints from wallets to 8 x 10. 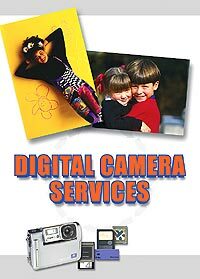 Your color is printed on Kodak professional paper. From digital media or color negatives, your color prints will reflect broad tonality because Gamma’s photo finishing system converts all scanned images into digital data. A wide range of correction measures can be applied to significantly improve contrast and red-eye, as well as to minimize problems with exposure, backlighting, and flash photography. Negatives with dust and scratches can be automatically detected and corrected. Your digital prints are now more affordable; turn-around is quicker; we can add text, adjust your borders, and provide you with different styles of black borders. 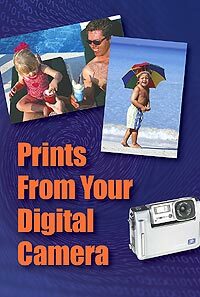 Gamma provides sharp quality automated digital prints with a wide range of correction measures. Black and white printing on black and white paper, processed in black and white chemistry. Color digital prints printed on Kodak professional paper. This photo finishing system significantly improves contrast, sharpness and red-eye, as well as minimizes problems with exposure, backlighting, and flash photography. Prints from 2.5″x3.5″ to 8″x10″. Ideal for digital proof sheets. In additiion, your photo finishing orders can include optional disks with images scanned to CD. Color print orders will be borderless glossy unless otherwise specified. B&W print orders will be borderless matte unless otherwise specified.